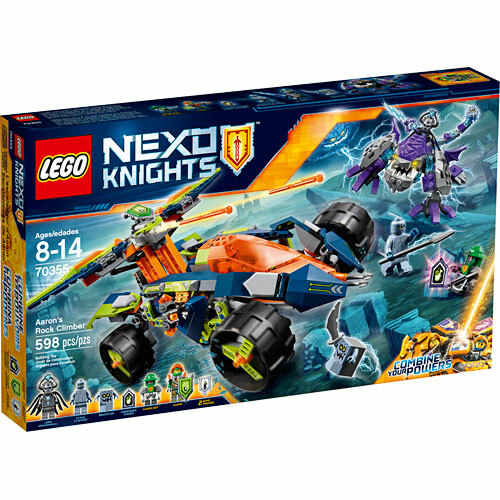 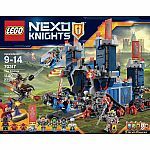 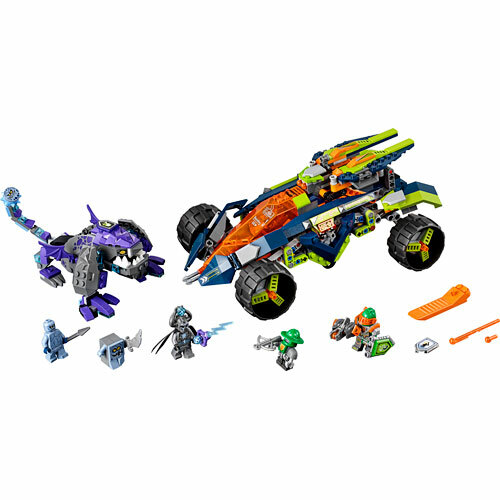 Race head-on into a daring Lego Nexo Knights adventure with the 3-in-1 Rock Climber, and use the futuristic off-road buggy to defeat Lord Krakenskull. 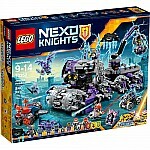 Stop the evil lord attaching the Forbidden Power to the fearsome Krakenbeast and unleashing its true evil forces. 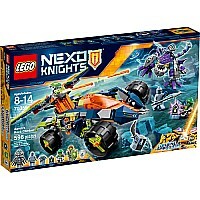 Detach the rear crossbow machine and fire at the monster, then release the cockpit to launch the Aaron Bot in the mini-flyer-but watch out for the beast's tail with a Bouldron sting! 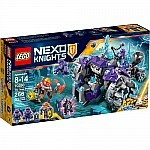 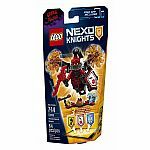 Includes 3 scannable shields for the Nexo Powers Battle Cry and Slime Slugs, and Forbidden Power Devastating Decay. Measures approximately: 19.00 x 2.50 x 11.50 inches..